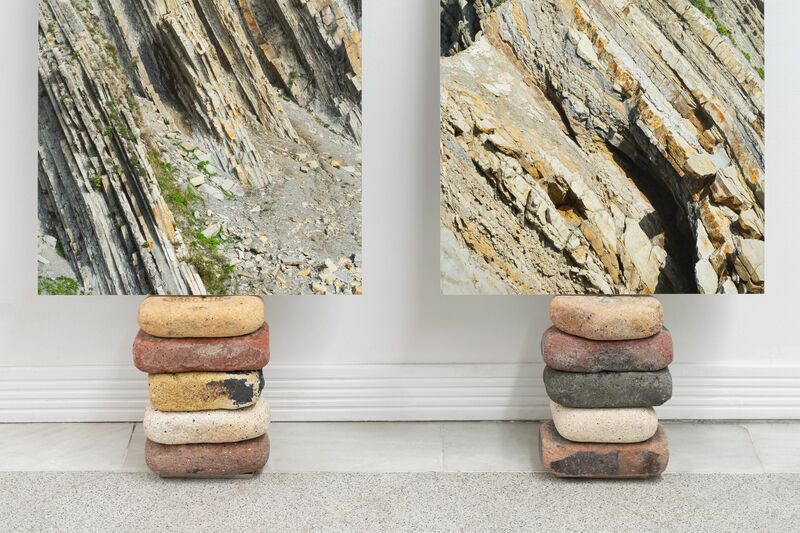 Technofossils of the Anthropocene is an ongoing project that investigates several industry-originated geological formations of the estuary of Bilbao (Spain), through materially-specific sculpture, photography, video and site-specific performance. Between 1920 and 1970, the metallurgic industry Altos Hornos de Vizcaya dumped into the ocean more than 120.000.000 tones of industrial waste, including ore, iron residues and refractory bricks used in the construction and remodeling of the furnaces. 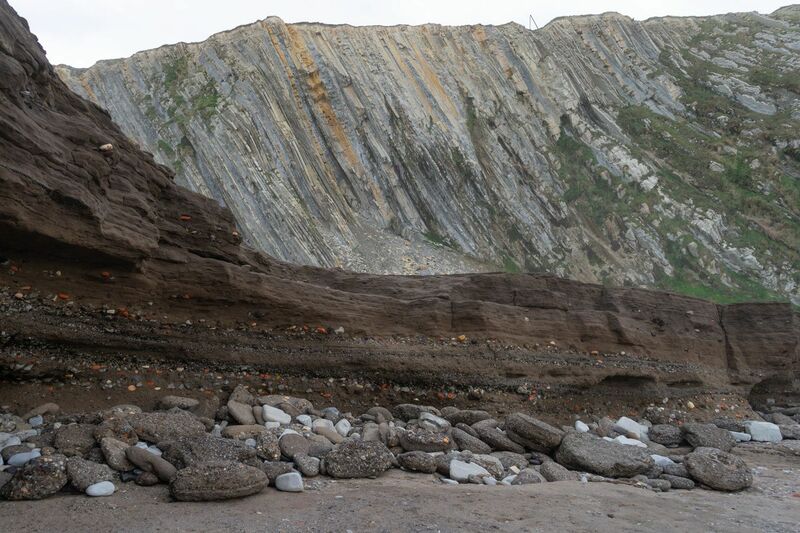 Tides and wave action have returned a significant amount of these residues to nearby shores, where they have sedimented to form a 6-meter-tall strata of brown rock, that constitutes a fossil record for the geological epoch of the Anthropocene. Technofossils of the Anthropocene traces the history of these industrial residues that slowly, and with the aid of the ocean, transform into post-natural and geological objects; as ways to question and think beyond the natural/artificial dualism, and the human being as a geological entity. Partial view of the installation. All components of the project are entangled to each other and develop a systemic structure, in which some provide context for the rest, cross-pollinating, generating complexities and associations between its different materialities and their specific viewpoints. 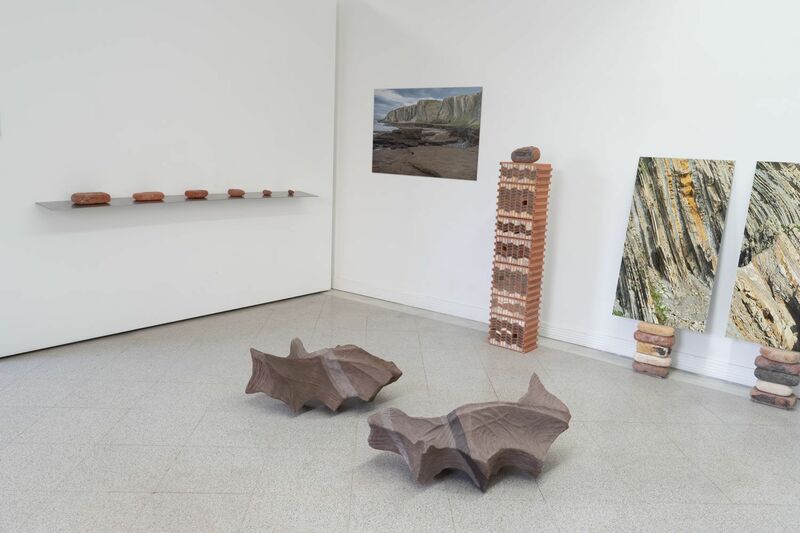 Some of these constituents include: two sculptures made from site-specific sediments that reference the space left inside the palm when it closes, a stainless steel shelf with six fire-bricks in different states of erosion, a totem made of bricks and site-specific materials, photographs, facsimiles of historical documents, a meta-archaeological archive and video. Detail view of a vertical 30-million-year-old stratification of rocks, on top of a strata of industrial fire bricks containing names, numbers and ore residues; that were used at the metallurgic furnaces of the Corporation Altos Hornos of Vizcaya.